Treat any congestion in the sinus and nasal passages. Decongestants and various nasal sprays are helpful. In bacterial infections, antibiotics may need to be prescribed. 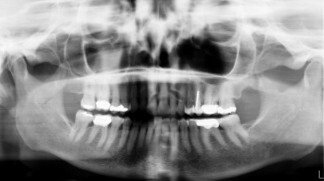 If the cause of the congestion is anatomical, such as high palate, then orthodontic treatment may be needed. In other situations, such as a deviated septum, surgical intervention may be advised by the doctor or a surgeon. Allergies are also a major problem. These include dust mite allergy and hayfever. The sinus lining becomes inflamed and swells. The sinus fills with fluid and mucus. Nasonex may be helpful , but prolonged use of this corticosteroid may lead to nose bleeds. FES nasal spray can be used safely as it is a saline (salt and water) spray. Seek medical attention to ensure you do not have a bacterial or viral infection. Also for allergies there are de-sensitising regimes that may reduce the effects of an allergic reaction. It’s important to solve the problem rather than suffering, so GET ADVICE! In children: if there associated snoring, then a trip to the doctors or an ear, nose and throat specialist may be needed. This is to check for enlarged adenoids, and other issues. A high palate means a smaller nasal space. Orthodontics to expand the palate will increase the nasal cavity. The high palate means a narrow upper jaw and this usually causes problems with the bite. So, proper orthodontic assessment and treatment are crucial for the development of the child’s upper jaw bone, bite, facial appearance, breathing, and even swallowing and speech difficulties. Mouth breathing at a young age has been found to cause other development problems so it should be ignored. Your dentist and doctor and other specialists should as a team to properly assess all the causes of the mouth breathing. Early intervention is always best! Post Nasal Drip – This is where the sinus and nasal passage are full of mucus and they drain from the back of the nose and down the throat. This can cause breathing problems leading to mouth breathing and BAD BREATHE. Big Time! As for mouth breathing, decongestants and FESS nasal spray are helpful. However, the cause needs to be assessed. Do you have an allergy to dust mite, mould, or certain flowering plants? Do you have a bacterial or viral infection? Is your immune system run down due to low Iron levels or lack of sleep? Solving your bad breath may lead to better health outcomes. I’m all for that.